New Year's Day in Argentina celebrates the upcoming of a new year on the Gregorian Calendar. This holiday always occurs on the first of January every year. 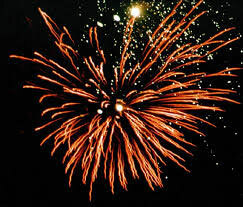 It is traditionally celebrated by blasting out colorful fireworks at exactly 0:00 in the local time zone. The New Year is a national holiday, meaning that many businesses and schools get to take the day off. It originally occurred March 15th with the old Roman calendar, but was changed to January 1rst when two Roman consuls were elected that day for military reasons. Thus began the New Year, yet it was not accepted by the Roman Catholic Church until 1582.